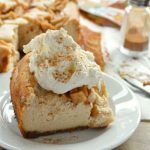 Buttery pie crust is layered with cream cheese and fresh peaches, and then topped with crumbly oats, pecans and brown sugar to make the most fun pie you can eat with your hands! 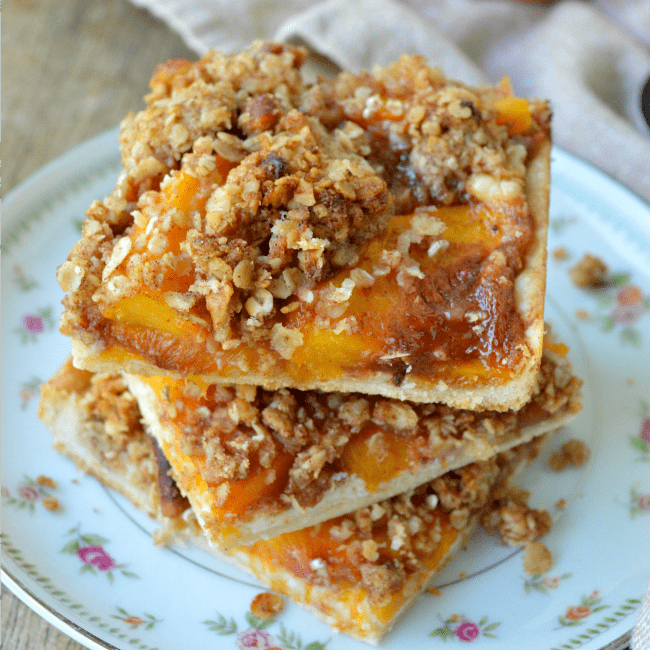 Peach Crumble Pie Bars are one of our favorite ways to use fresh peaches! And so my fascination with peaches continues. In truth I bought a whole bunch of Halloween decorations yesterday and I am totally ready for fall (it’s no secret that August is my least favorite month of the whole entire year), but I am still eating fresh, local, summer peaches every single day. Besides the peaches though, I am totally over summer. Are you with me on that? Please say you are. 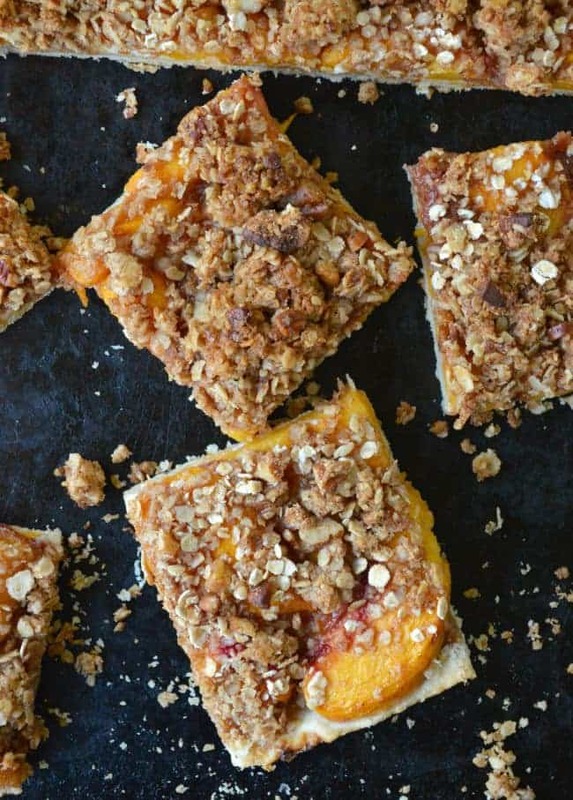 These Peach Crumble Pie Bars are sort of fall-ish. I associate crumble pie topping with fall for some reason. Probably because of things like Raspberry Apple Pie with Oatmeal Cookie Crumble Pie. Or maybe it’s the deep orange color that the peaches have once they are tossed in brown sugar and baked. It is the same color as the fall candles I am stockpiling. 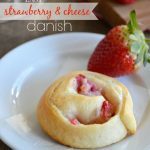 I layered a little surprise into this recipe: there’s cream cheese! I love peaches and cream. It adds a cheesecake-iness to every bite. Then there are peaches. THEN there’s the oat and pecan crumble topping. 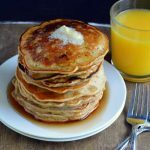 This is a recipe with one foot still in summer and the other foot firmly planted in the best season ever: FALL. 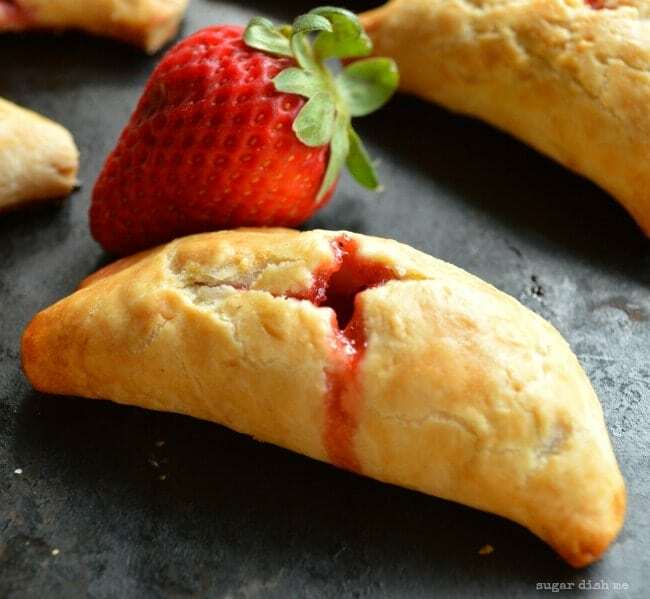 Eat these as-is or serve with ice cream! 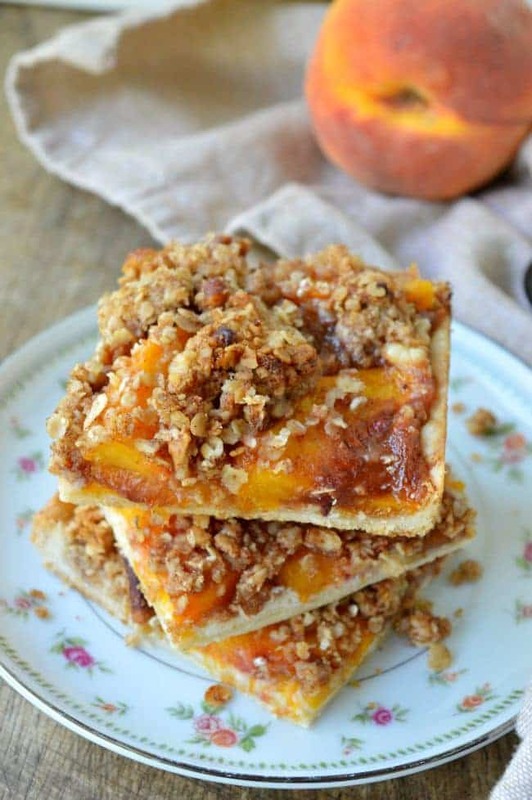 My favorite way to eat peach pie! 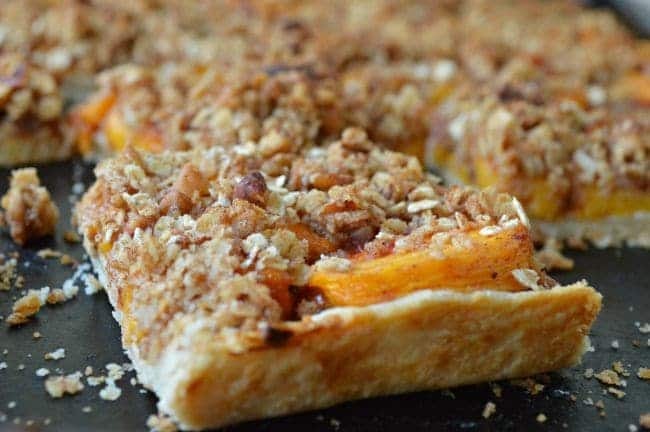 Peaches and cream cheese are baked into a sheet pan full of buttery pie crust, and then topped with a crumbly streusel made of oats and pecans. Make sure you allow yourself an hour for the dough to chill -- you can also make it the day before. 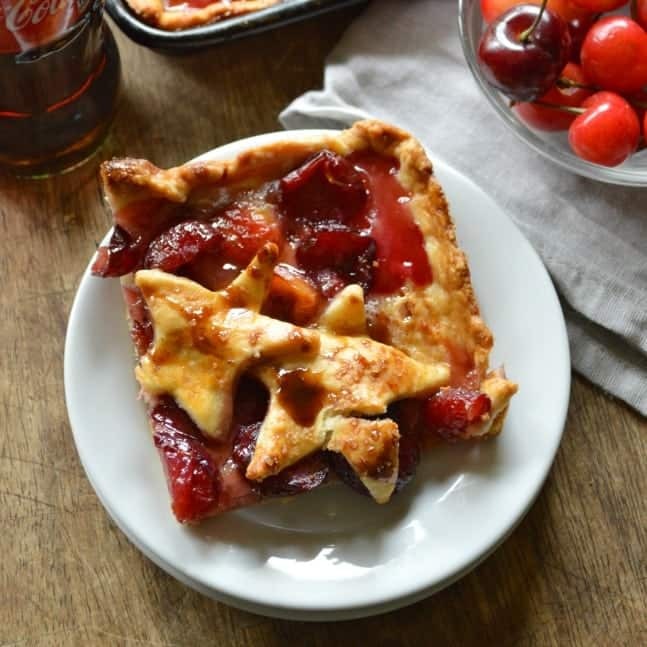 To make the pie crust, whisk together the flour, sugar, and salt. Cut the cold butter into the flour mixture until coarse crumbles form and the butter is dispersed evenly. Add 2 tablespoons of ice water and stir to combine. Add one more tablespoon as needed to get your dough to the right consistency. Make a ball and wrap it in plastic. 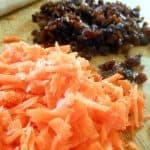 Let it chill for at least an hour or overnight. Beat the cream cheese with the granulated sugar until smooth. 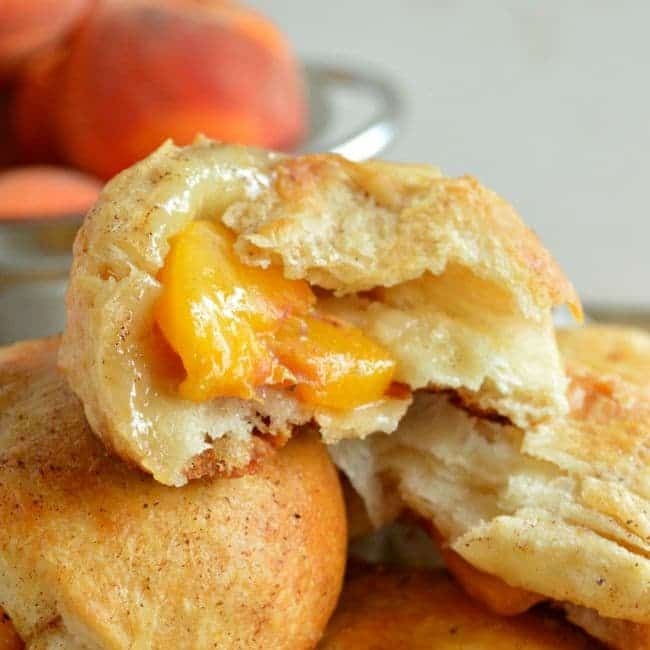 In a separate bowl, toss the peaches with the brown sugar, cinnamon, nutmeg, and cornstarch to evenly coat. Preheat the oven to 425F. Roll out your chilled dough and press it into an ungreased 9 X 13 baking sheet. Gently spread the cream cheese mixture over the crust. Then spread the peach mixture on top of the cream cheese. In a medium bowl, combine the oats, butter, brown sugar, nutmeg, and pecans. Spread the topping over the peaches. Bake the bars for 25-30 minutes. Let the bars cool before slicing.